Adding international summer camp staff not only adds diversity to your camp, it also allows camp directors to welcome camp staff with new and different skills, languages and cultural perspectives. InterExchange Camp USA recruits and sponsors all types of international J-1 staff with different personalities, skills and experience. All of our international participants are carefully screened to ensure we are working with individuals who are highly motivated, proficient in English, and prepared for their summer camp cultural exchange program. We recruit and sponsor young adults from over 15 countries, which means your campers will be able to interact with staff that have foreign language skills, different cultural perspectives, and plenty of motivation and energy for their summer cultural exchange experience in the United States! Camp directors can work with InterExchange Camp USA to hire specialized staff with skills in arts and crafts, athletics, special needs experience, food service, maintenance and more. We have experience working with all types of camps, including religious camps, day camps and special need camps, so we understand that the needs of each camp are unique. InterExchange has over 40 years of cultural exchange experience, so we know how to keep the process simple for camp directors and international staff alike. And as a nonprofit organization, we offer the lowest fees possible for our cultural exchange program. Camp directors can register for free and view international camp staff applications at no cost. You'll only pay once you choose to hire an InterExchange participant! 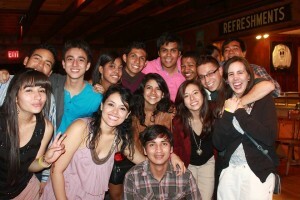 To learn more about InterExchange Camp USA and international J-1 staff, contact us at [email protected] or 800.597.1722.